One of my favorite trends right now is Aztec prints. I’ve become especially enamored with Aztec print shorts and skirts. I love AllSaints’ embellished Aztec print mini skirt. And apparently I’m not the only one, since it’s currently out of stock at their website. But I think the Aztec print piece I’m longing for most are these black and white Aztec print shorts from Topshop. Much like the AllSaints’ skirt, these shorts are out of stock as well, so the closest I can get to owning them is by drawing them. The beauty of an Aztec print in black and white is that it functions as a neutral, so you can pair it with so many things. 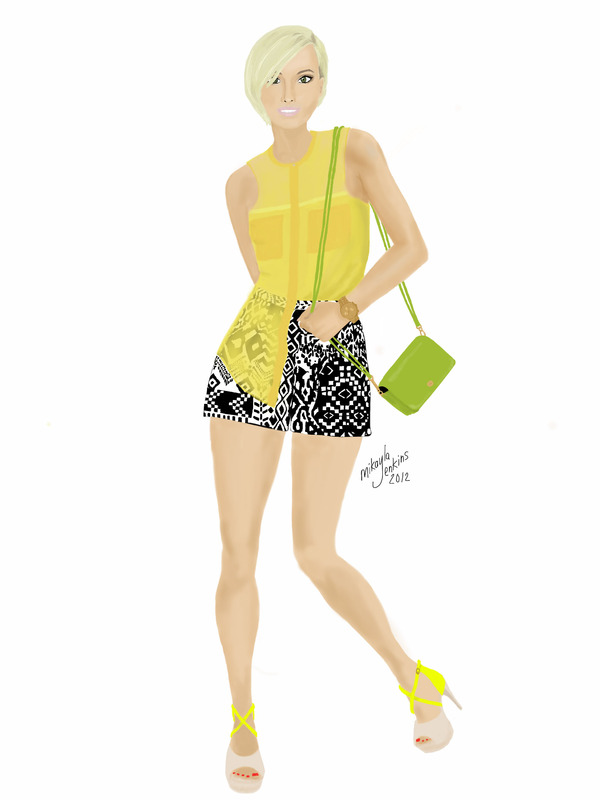 For my drawing I decided to pair it with another trend, bright colors.